The fifth generation fighter jet to be a twin-seat jet, instead of the single-seat layout of the PAK-FA. Russian and Indian engineers have completed the preliminary design for the export version of the fifth generation fighter jet – the PAK-FA, announced Andrey Marshankin, Regional Director for International Cooperation of the United Aircraft Corporation. “At the moment, together with our Indian colleagues, we have finished creating an export version of the PAK-FA, known in India as the FGFA. All the documentation is now ready, and we have an understanding of the amount of work that will be required for the next design phase, and the scale of the future series production,” he said. 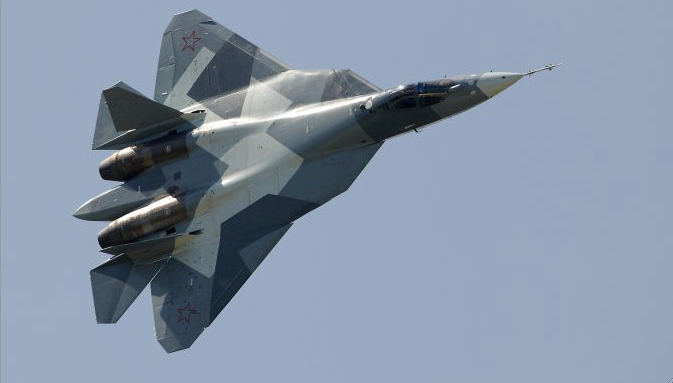 Mr. Marshankin also noted that while only one pilot operates the Russian version of the fifth generation fighter jet, the Indian Air Force traditionally prefers aircraft operated by two pilots, writes RIA Novosti, citing the Russian News Service. “In the difficult conditions of modern warfare, it is extremely difficult to simultaneously maneuver a fighter jet and fire on the enemy. For now, the Indian side insists that their version of the fifth generation fighter must be made for two pilots,” he said. In September, Russia and India were able to resolve the problematic issues on the draft design of the fifth generation fighter, having also agreed to build 200 aircraft worth about $30 billion. President of Russia’s United Aircraft Corporation (UAC) Mikhail Pogosyan said in November, that FGFA project is among top priority projects for Russia. “The projects of a fifth generation fighter jet and a military transport plane reflect our strategy on creating present-day high-tech products in cooperation with our partners,” Pogosyan said.